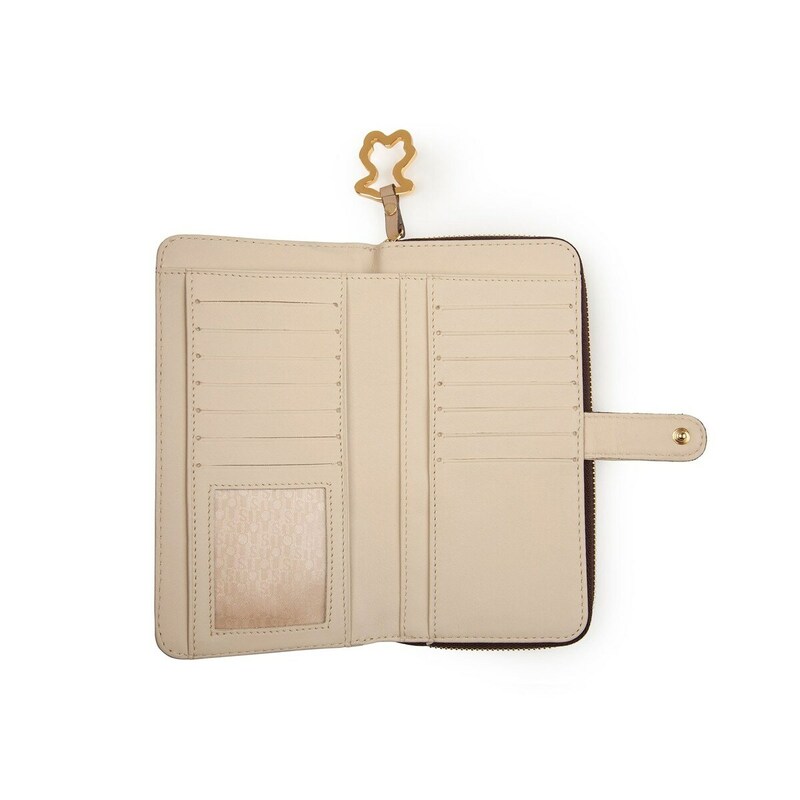 Camel-sand bovine leather TOUS Urbana Block collection wallet Sharita M. model. Zipper closure. Fourteen inner pockets for cards, eight for several things, one for bill and one for coin. Dimensions: 9,5cm. x 18cm. x 3cm. - 3 12 7 1 1 3.